This roasted squash is a delicious, easy vegetarian Thanksgiving holiday side dish (with a make-ahead option)! Vegan and Gluten Free. It’s November, so let the countdown to Thanksgiving begin! My favorite part about this holiday: the sides! Of course there are the essentials: stuffing, mashed potatoes, and the infamous green bean casserole… but what I’m really excited for is the plethora of squashes that are available at this time of year, so I’ll be making this roasted delicata squash that is so delicious and easy (plus, see the recipe below for a make-ahead option!). This recipe is loosely inspired by a dish we enjoyed in Madison while visiting Sub-Zero and Wolf last month. Upon arrival, their chef cooked us a family-style feast made with freshly picked produce from their awe-inspiring garden. 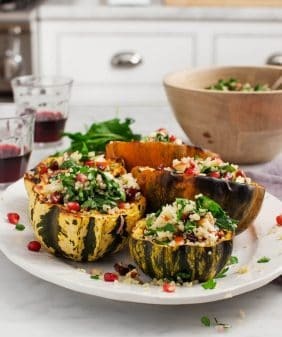 One dish in particular – made with delicata squash, apples, and a sort of tangy vinaigrette – stood out to me. It was beautiful and I loved the contrast of the savory roasted squash with the crisp fall apples. When I got home, I took that apple + squash idea with me to the market and ended up combining both of those things with roasted pearl onions, kale, sage, and thyme. It all pops with a tangy apple cider-Dijon vinaigrette, and it’s topped with toasted pepitas for crunch. 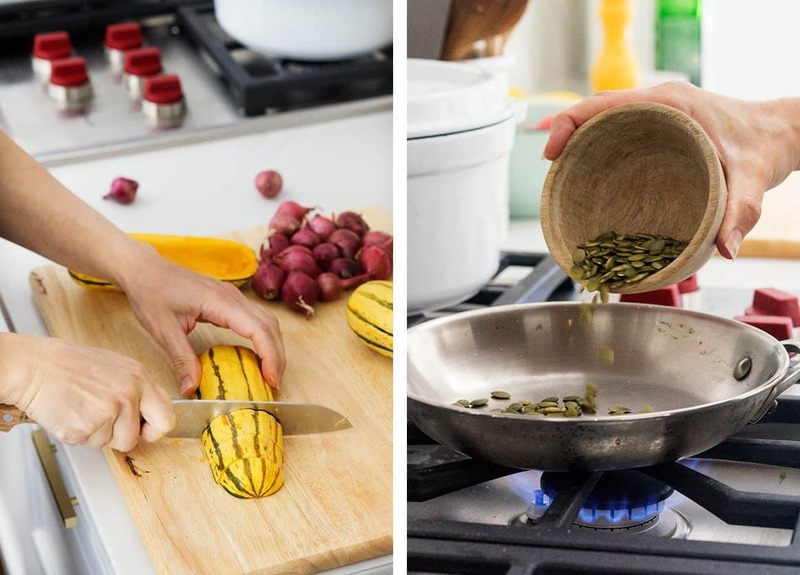 I always get questions about delicata squash and if the skin is edible – it absolutely is, no peeling necessary! Its thin skin gets tender after about 20-30 minutes, depending on your squash and your oven. Between our moves from Austin to Chicago, I started to become a bit frustrated with cooking. Between short term rentals with old gas ovens and half-broken electric stoves, cooking food with consistent results (which is sort of needed for this blog) became a bit of a chore. So when we saw this house, with all Sub-Zero and Wolf appliances, I breathed a sigh of relief. Cooking has become fun again! Using our new oven’s convection setting, which ensures consistent heat throughout the oven, my squash turned out perfect – tender on the inside and caramelized on the outside. I also love how the oven is at my eye level, so I don’t need to bend over to see it! You can toast your pepitas in the oven, but I love toasting nut and seeds over my gas cooktop because, well, it’s faster. My old gas stove would burn them if I wasn’t careful, (kitchen fires are the epic food blog fail! ), but I love how precisely I can on our Wolf cooktop. 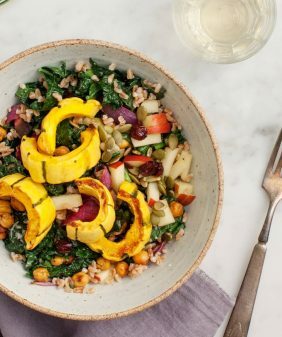 Once the squash (and onions) are roasted, toss them with the kale, apples, herbs, and the tangy cider-Dijon dressing. Next, I like to pop the final dish back in the oven for a few minutes, just to wilt the kale a bit. Drizzle the remaining dressing on top just before serving. This recipe can be served right away (add a simply cooked protein and call it dinner!) or prepped a few hours in advance for the holiday. See the recipe below for reheating instructions. Happy holiday planning! Place the squash and onions on the baking sheet and drizzle with olive oil and generous pinches of salt and pepper. Toss to coat and arrange on the sheet so that they’re not touching. Roast until the squash is golden brown on all sides and until the onions are soft and browned, 25 to 30 minutes. 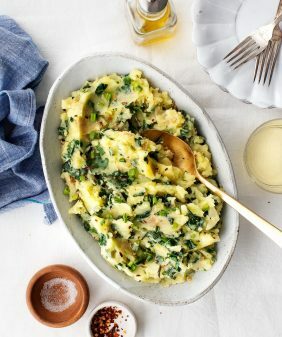 Make the dressing: In a small bowl, whisk together the olive oil, apple cider vinegar, garlic, mustard, maple syrup, and a pinch of salt and pepper. Set aside. In a small pan over medium-low heat, toss the pepitas with a pinch of salt and cook until toasted, stirring frequently, for about 2 minutes. Set aside. In a medium mixing bowl, combine the kale, sage, and thyme. Add the warm roasted squash and onions, the apples, half the pepitas, and half the dressing. Toss to coat. Transfer to an oven-safe serving dish. (If you’re making this dish in advance stop here and follow the saving/reheating instructions in the notes below). 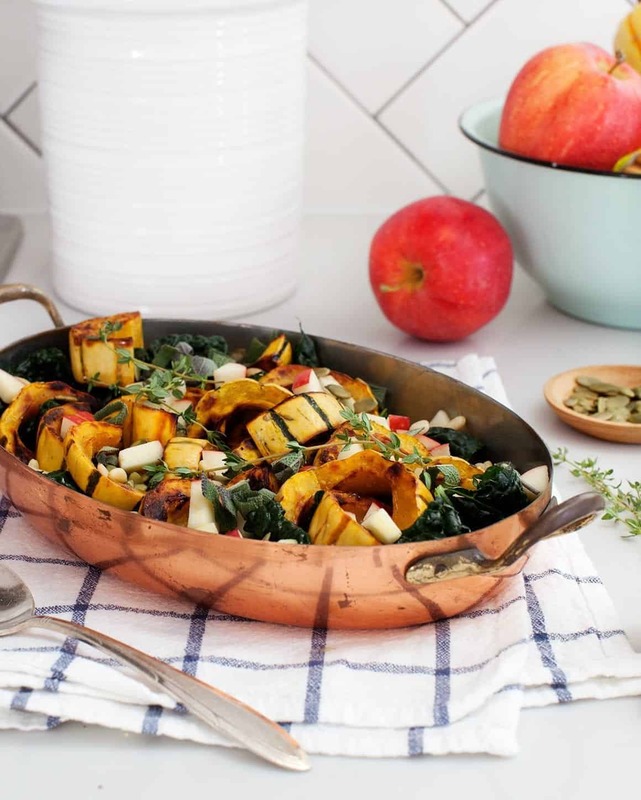 Place the serving dish into the oven for 8 to 10 minutes, or until the apples and kale are warm and the kale is just wilted. Just before serving, drizzle with the remaining dressing, and top with the remaining pepitas. Once the roasted vegetables are transferred to the serving dish, cool to room temp. Cover with foil and chill the dish until ready to reheat (Ideally, make this around 4 hours in advance). When ready to reheat, preheat the oven to 425°. Loosen the foil and bake, very loosely covered for 12 to 15 minutes or until everything is heated through. Just before serving, drizzle with the remaining dressing, and top with the remaining pepitas. Special thanks to Sub-Zero and Wolf for partnering on this post! This sounds amazing! I have a sage plant so I’m gonna make this over the weekend. Looks terrific! Definitely an ‘add’ to our holiday table. I don’t see the reheating instructions…..
Amazing! I had delicate squash for the first time recently – it’s sweetness and deliciousness was divine. Thanks for sharing! I was looking for those instructions too, I don’t see them. It’s in the notes section under the regular recipe instructions. I am looking forward to trying this, especially since the last time I fed my husband kale, he didn’t offer his usual complaints. 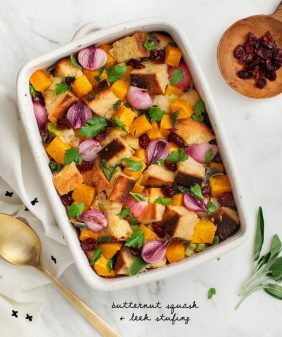 SO stunning — it’s literally asking to be the star of the Thanksgiving spread! I’ve been making a version of this for awhile now and it gets repeatedly made until the squash disappears from the stores. I use Roasted red onion instead. I also season the delicata with tumeric and cumin and a dash of all spice. Sometimes some roasted chickpeas are added to make it even more substantial. Roasting whole cloves of garlic and adding those gives it a nice edge, too. I have never heard of a Delicata squash. You have gotten me curious to experiment should I be able to find one in my Virginia grocery store. Is the flavor more like a sweet winter squash or a savory summer squash? 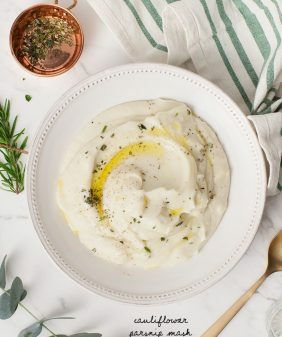 interesting source of inspiration for this recipe and the tweak you made to it, must have been interesting visiting the Wolf factory in Madison, thank you for sharing all of this, i love the side dishes too! Made this tonight and it was Amazing! I will definitely be adding this to our Thanksgiving menu. Thank you!! I just made this and it is perfect. I thought there might not be sufficient dressing but it is just right. I will be making this all winter unless delicate squash runs out at my grocery store. Has anyone ever microwaved left overs? Sorry – delicata. Good old spell check. Hi Maureen, so glad you enjoyed it! This is a delicious side dish. I had never had delicata squash before but happened to see it at Trader Joe’s right before this recipe was posted. It felt like an omen when I saw the recipe so next time grocery shopping, I bought all the ingredients. I served it at a dinner party last evening and everybody really liked it. Even one person who said he normally doesn’t care much for any kind of squash. None of us had tried delicata squash before. Very yummy! 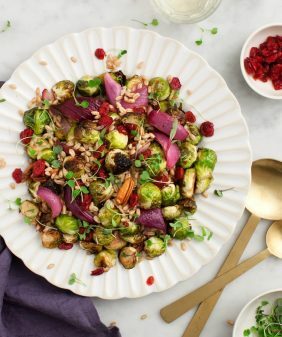 I just saw you have another recipe that includes farro and chickpeas -two of my favorites – so next I will try that. This was outrageously good! I made it for Thanksgiving this year and everyone adored it. The dressing is perfect and the pepitas are icing on the cake. Absolutely wonderful – thank you! Hi Coco! I’m so incredibly happy to hear that everyone enjoyed it!! Looks delicious. Where is that copper serving pan from? Thanks! I got it on Etsy really cheap (a no-name brand), I think I just searched “copper pans” or “french cookware.” Hope that helps! I really enjoy delicata squash, yet this was better than any other recipe I’ve tried. I also used red onion, mixed in some quinoa and topped with craisins, making it into a meal. I’m so glad you loved the recipe! I love the idea of adding quinoa to this to make it a meal – yum! Hi Sueja, I’d make it with roasted sweet potatoes – cut them into about 1-inch cubes and the baking time should be about the same. Or you could use acorn squash, but depending on the squash, it’s skin can be tougher and less desirable to eat. Hope that helps!